Everyone got their assignments? 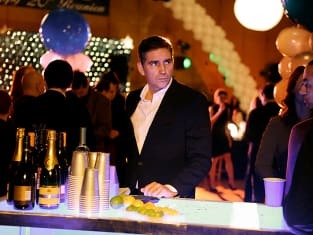 This is a photo from the Person of Interest episode "Most Likely To..."
Reese and Shaw go undercover to a high school reunion on Person of Interest. I got the car all packed. AC/DC or the Dixie Chicks? Permalink: I got the car all packed. AC/DC or the Dixie Chicks? 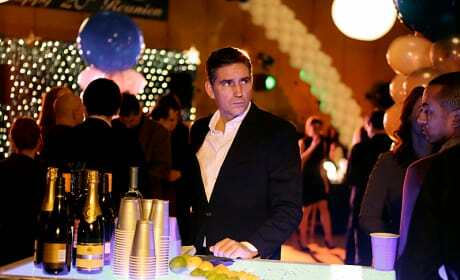 Shaw: Got the scoop on why all these women are so fond of you, "Frank." You gave the brunette a promise ring, then slept with her best friend the redhead, before having a fling with the blonde. Reese: Well, that's not so bad. Shaw: Whose mother you seduced. Permalink: Whose mother you seduced.